For most kids, it will soon be time to go back to school. For others, especially homeschoolers who learn year round, it is the time of year that most educational products are at their cheapest. August is typically the month we stock up on supplies, because sometimes you just can't beat those deals. And despite most of the products being available year-round, some just aren't. For instance, if you shop at Target, you have probably noticed their bargain bins at the front of the store. That section is always full of neat things that can be used for homeschooling. But August is when they stock it with back to school supplies, like workbooks, flash cards, manipulatives and arts and crafts supplies. It's the perfect time to grab those things, because you will likely use them all year long! Here's what we found last year and those are all still some of our favorite learning supplies! 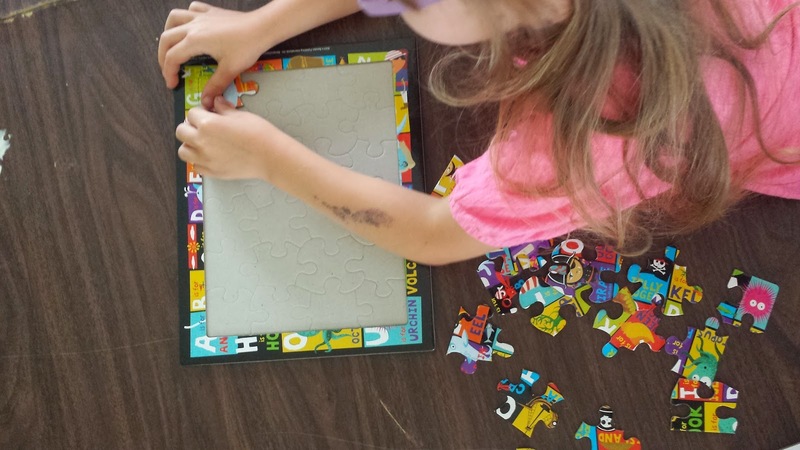 I first heard of these wonderful foam puzzles from Staples from Kimberly at Natural Beach Living. We were really hoping to find the same puzzles that she shared on Facebook, but unfortunately these were the only ones they had left. Literally the last two left. Super sad. Regardless, at a dollar each, it was still a great find! 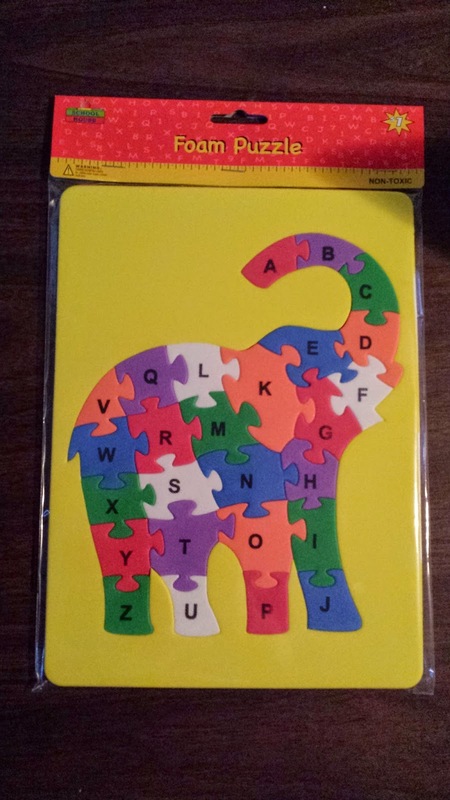 Both of my kids adore the elephant alphabet puzzle and Bean is really interested in human anatomy, so the parts of a brain puzzle will certainly come in handy this year! I stored each inside of a large Ziploc, this way no pieces are lost while they are sitting on a shelf. 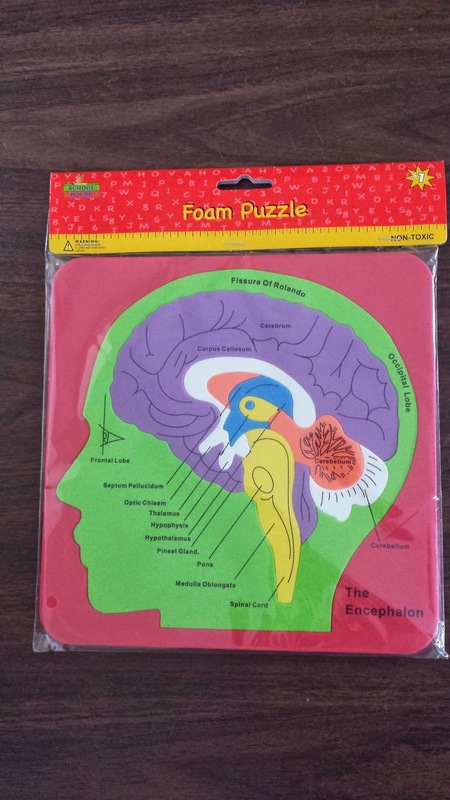 We will be checking Staples again and hope to find more of these fantastic foam puzzles! From Target's Bargain Bins! At $1 each, these are just wonderful! 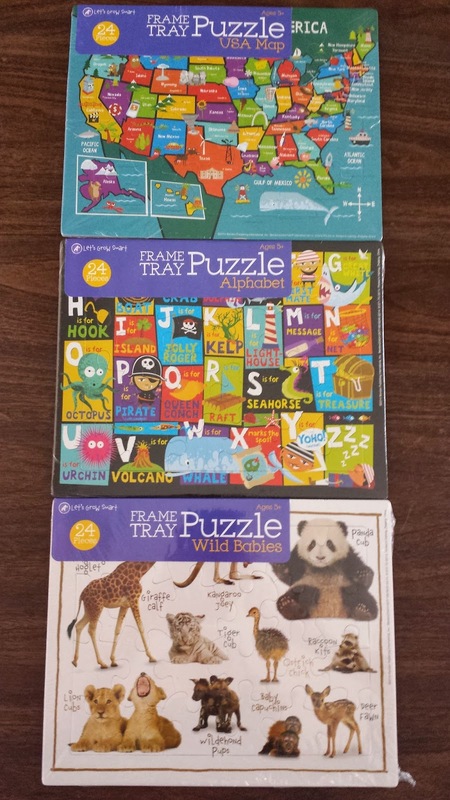 We picked up three cardboard puzzles: a map of the USA, pirate themed alphabet and wild babies. My kids are obsessed with puzzles and can literally sit and complete puzzles for hours. Bean prefers cardboard puzzles and Munchkin prefers wooden ones from Melissa and Doug. 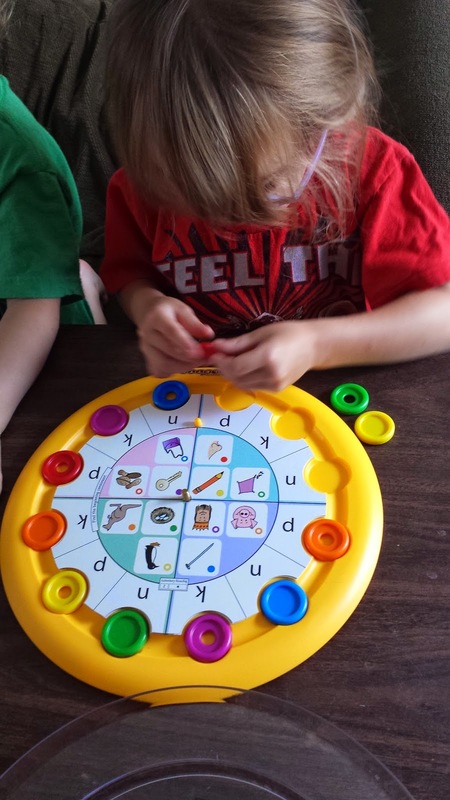 From this set, Bean loves the alphabet puzzle and it will be perfect when we explore pirates later this year and Munchkin adores the wild babies puzzle. Puzzles are fun to have on hand for quiet time activities, but they also promote fine motor skills, not to mention all the learning! We will be using the USA map all year long for our main history lessons. 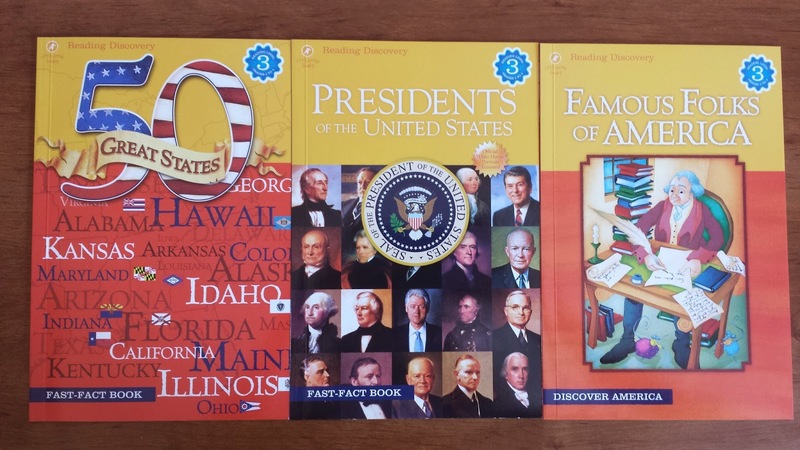 These are Early Reader books (3rd level): 50 Great States, Presidents of the United States and Famous Folks of America. The last book will be great for discovering unique individuals to learn more about! They will mainly be used as reference guides, until my kids are old enough to read them on their own. 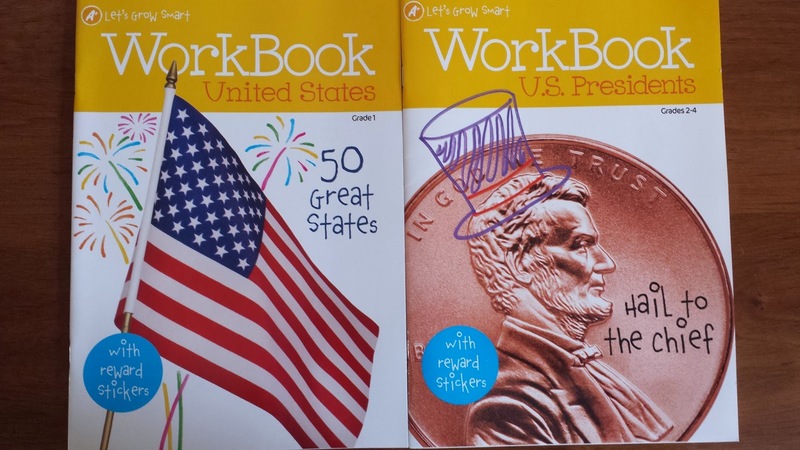 The workbooks are intended for 2nd grade students, so we will likely not use them. But I grabbed them just in case. You can never be too prepared! There were not as many science books to choose from this year. As far as I could find, there was only the Strange and Amazing Insects book that was available. But that may just be at my local store. 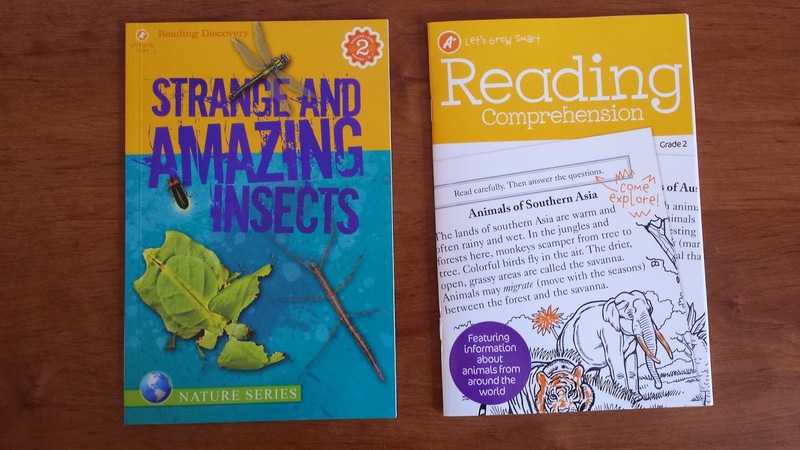 We also picked up a Reading Comprehension book because it explored different wild animals around the world, and they are separated by continent, so even though we will likely read the whole book, we will be able to focus on North American animals for our unit studies. 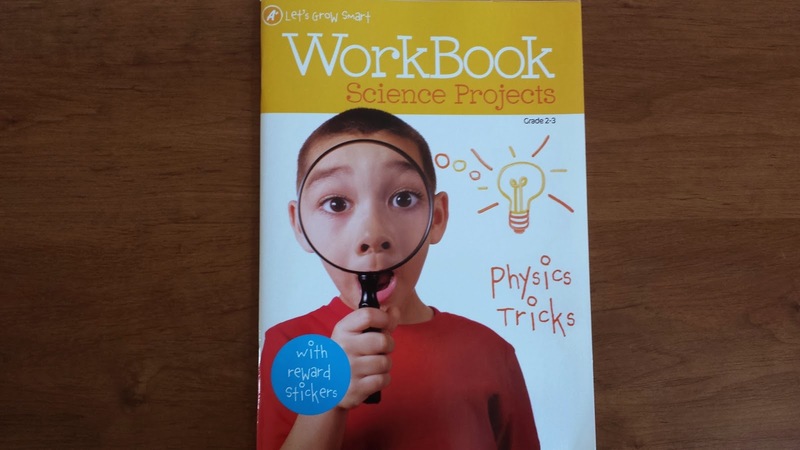 The science workbook is intended for students in 2nd grade, but we will still be able to create many of the projects in it, even if we do not use the work pages. We also stopped by Savers and found a few gems! You may have read our (online) Learning Palette review, which is a product made by Learning Wrap Ups. 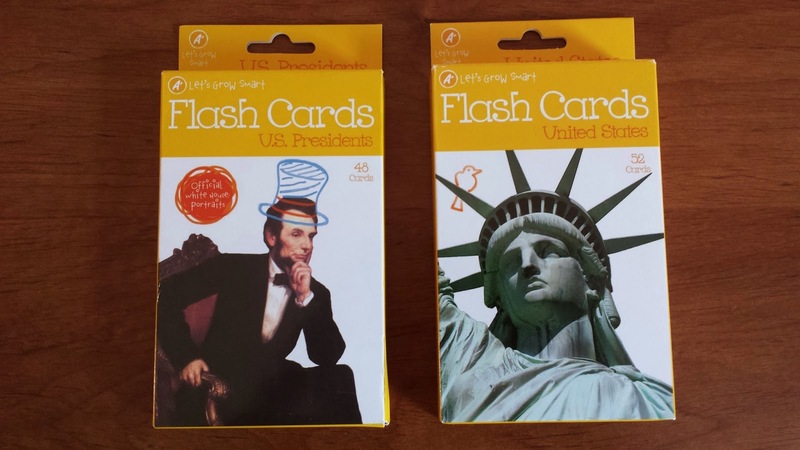 This is a physical version of their Learning Palette, however it only came with a handful of cards. We hope to pick up more of the cards this year to supplement our curriculum. My children decided they definitely prefer the physical version over the online version, because it is easier to use and more hands-on. 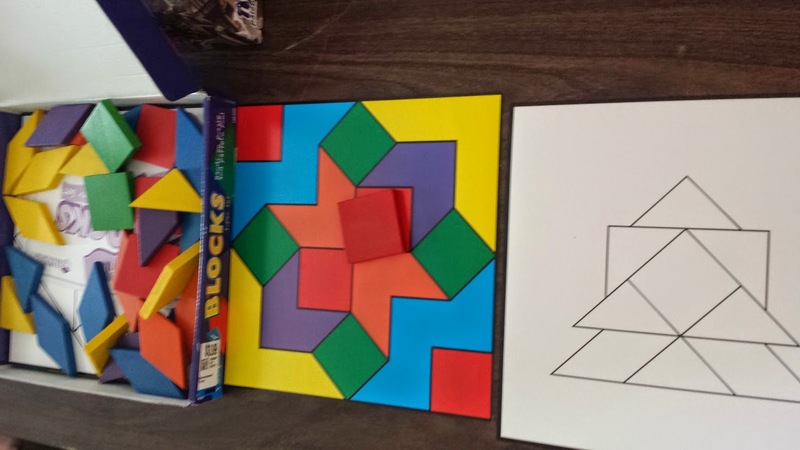 Learning Resources Parquetry Blocks and 20 Pattern Cards . Ever since I made a set of felt pattern blocks, my kids have loved creating shape patterns for creative art activities! This set contains large pattern blocks, which are easier to manipulate for littler kids. It also had plenty of pattern cards which gives them a good idea of how to start patterns and inspires them to create their own. 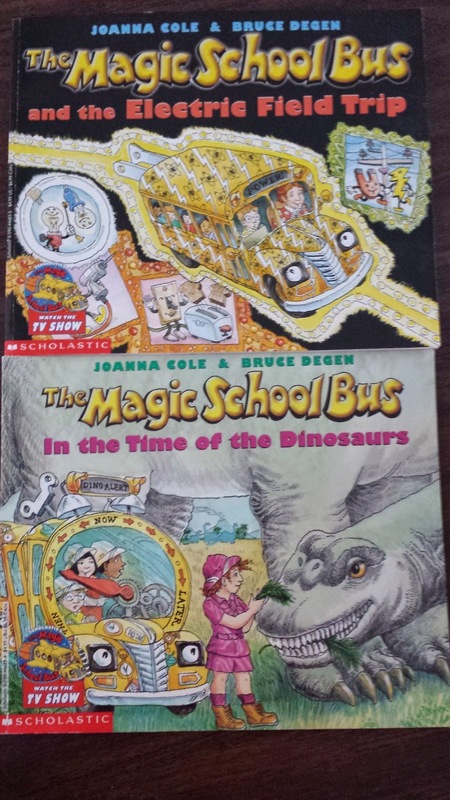 The Magic School Bus books! Sometimes these books are SO HARD TO FIND! So I definitely had to grab them. The Magic School Bus happens to be one of my children's favorite shows, but they love being able to hold the books and read them too. We will be using The Magic School Bus as a science curriculum this year and we are so excited! 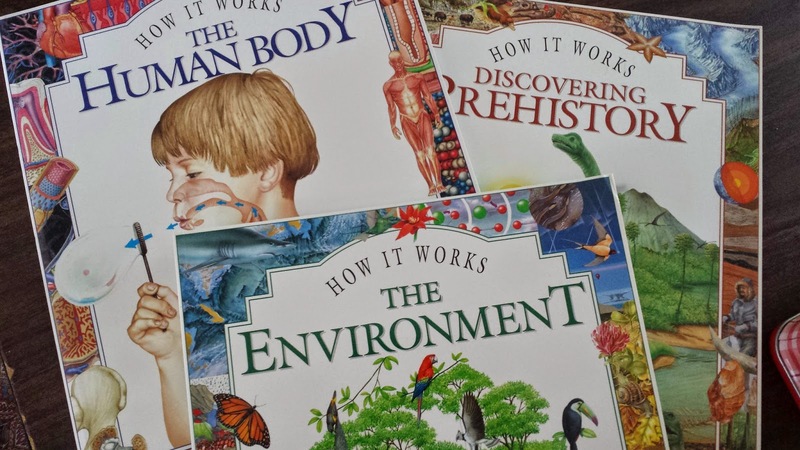 How it Works books: The Human Body , Discovering Prehistory and The Environment. I saw the book on Flight and decided not to grab it and instantly regretted it when we left. My son probably would have loved it. 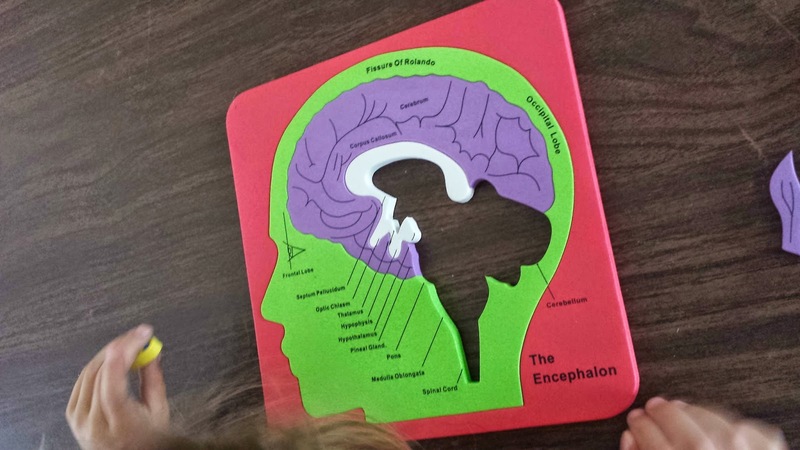 Bean immediately took interest in The Human Body book, our first book on anatomy, and it even has a page that explores the brain, so she will be able to pair it with the foam puzzle! Both of my kids love dinosaurs, so that will be fun to poke through and The Environment will be used for science lessons. 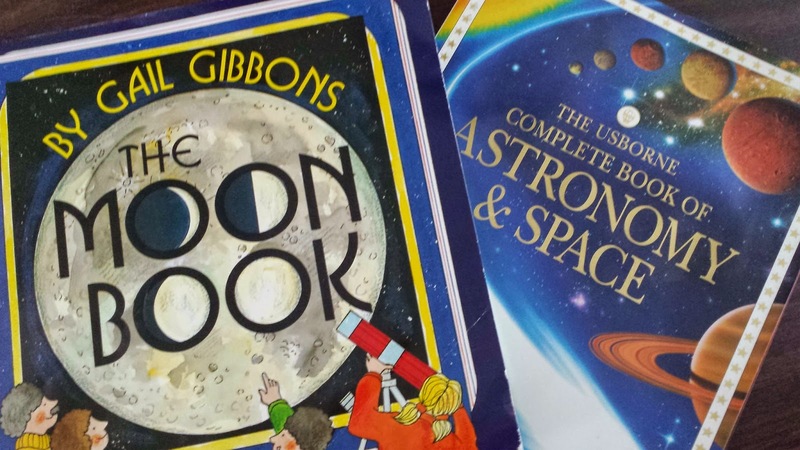 Books on Space: The Moon Book , and The Usborne Complete Book of Astronomy and Space . While we already finished our unit study on space and the moon, I know we will eventually come back to the subject. And if you have never heard of Gail Gibbons, I definitely suggest her books for young science lovers! They are amazing and we have yet to find one we haven't thoroughly enjoyed! Besides that, we visited our favorite local store Used Book Superstore and picked up an armful of new books! This store is absolutely wonderful and always has a HUGE selections of kids books available. The books are also incredibly cheap, most being under $2 and in near-perfect condition. This is usually where we go to stock up on unit study books and books for reading activities. We also let the kids choose whichever books they want to take home and they often turn out to be their bedtime favorites. Disclosure: I was not compensated by Target, Staples, Savers or the Used Book Superstore to mention their products. All opinions are my own and honest.